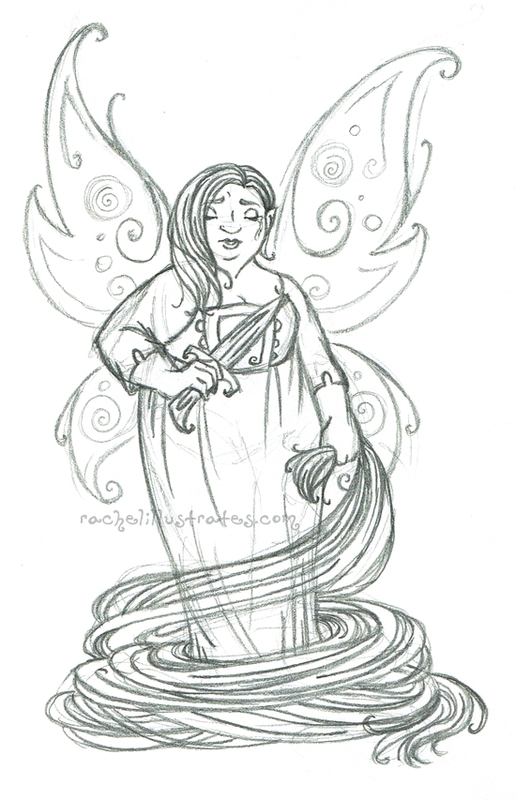 Fairy Fae Week 4 and 5, AND Happy International Women’s Day! Inspired by the Seelie side again – in honor of International Women’s Day, the Tockverse ladies (or at least as many of them as I could fit on the page) are here in solidarity. Growing together from the gift of all their varied relationships, individual strengths and differences. True strength comes from that place of togetherness and cooperation, not competition. May we all build each other up and inspire each other, too! I love this alien princess and she needs more attention. 3Below was wonderful, and Aja Tarron is THE BEST. I would protect her with my life even though she doesn’t need it. Cannot. WAIT. For. Season. Two. This was inspired by Emily Carding’s “Faery Craft”– specifically the section on Faery Zodiac. I fall in the “dryad” section, so of course the tale of Eurydice sparked wonder in me – I’d heard it before, of course, but this time I wondered what her existence is like AFTER Orpheus loses her again. She’s still in the Underworld, after all, and I can’t imagine that a strong, fae woman such as herself would just wait around until her husband shows back up. Since my gnosis of Persephone includes Her care for damaged, hurting souls – Sketch – Persephone and the Dark Heart – I imagine that after her “rescue” is unsuccessful, Eurydice finds comfort in the care of Persephone, having to mourn her loss of life again, but also wanting to move on. And through that, she finds new purpose in however a creature of the trees would still be able to reach out to nature. Through roots, through growing, nurturing seeds in the darkness of the soil. And maybe through that, her beloved bard can still feel her presence too, and have faith that they WILL be reunited even if his desperate plan didn’t work out. I am very, very satisfied in my heart that this piece is finished. Not the least of which because I finally got to feature Persephone in Her “Queen of the Underworld” gown, and that this is another Faerie-devotional piece after not much time to devote to such things! I very much hope you enjoy it, too. Sometimes you just need to get stuff out.